AirPura's extensive line of AirPura portable air purifiers and AirPura central (whole house) air purifiers from the AirPura authorized dealer. The AirPura's high quality filters and the AirPura innovative air purification technologies hardly leave the air quality problem not covered by the AirPura air purifiers. 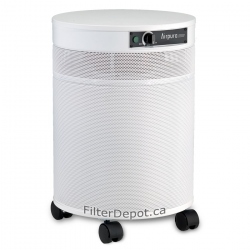 Fast, free shipping on AirPura air purifiers in Canada and US. AirPura Air Purifiers There are 27 products. AirPura R600 Premium AirPura Air Purifier features the AirPura R600 5-Stage True HEPA and Carbon air filtration system for effective All Purpose Air Purification in large areas up to 2000 sq. ft.
AirPura H600 air purifier employs the AirPura True HEPA filter to bring Relief to Allergy and Asthma sufferers and help them keep Allergy symptoms under control. AirPura G600 features the AirPura G600 German Odorless Carbon and the AirPura Pesticide Free Cotton Pre-filter to bring Relief to individuals suffering from Multiple Chemical Sensitivity. AirPura G600DLX air purifier is the AirPura G600 upgraded with AirPura G600DLX massive amount of German Odorless carbon in AirPura oversize canister for individuals with Elevated Multiple Chemical Sensitivity. 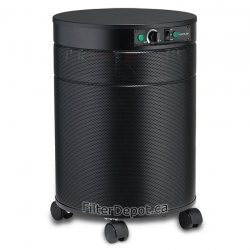 AirPura V600 combines the AirPura HEPA filter with AirPura V600 filter canister filled with special VOC adsorbent for enhanced VOCs and Specific chemical removal. AirPura I600 is an exclusive AirPura air purifier with AirPura I600 oversize True HEPA filter for Healthcare applications and Healthcare providers. AirPura UV600 employs the AirPura Germicidal UV bulb with AirPura UV600 HEPA and Carbon filters to provide effective airborne pathogen control, particulates removal and chemical adsorption. AirPura C600 features the AirPura C600 oversize filter canister with huge amount of AirPura adsorbent which allows AirPura C600 to achieve a superior rate of extreme chemical removal. 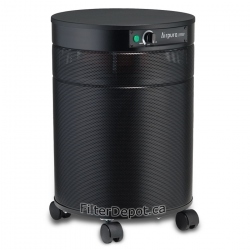 AirPura C600DLX is the AirPura C600 air purifier upgraded with the AirPura C600DLX specialty adsorbent in oversize canister for Heavy Duty VOC and Specific Chemical Removal. AirPura F600 air purifier employs the AirPura F600 special adsorbent in the AirPura large separate canister to guarantee an enhanced removal of Formaldehyde in areas up to 2000 sq. ft.
AirPura T600 air purifier features the AirPura T600 oversize filter canister and the AirPura tar-trapping pre-filter to deliver a superior rate of Cigarette smoke removal and provide effective protection from primary and secondhand smoke.